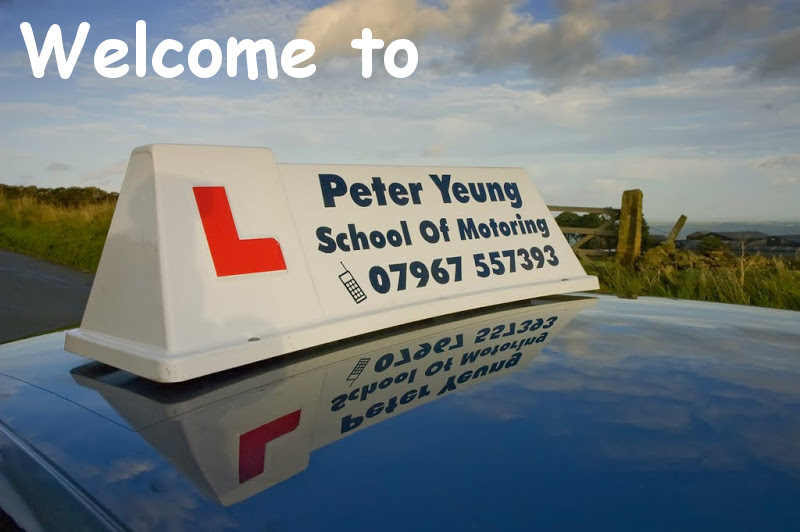 Peter Yeung is an independent, highly experienced and fully qualified approved driving instructor, providing driving lessons for all ages and levels of driving ability. Peter Yeung operates in the Preston area, including Longridge, Grimsargh, Chipping, Fulwood, Goosnargh, Ribchester, Hurst Green, Penwortham and Garstang. However, if your area is not listed, please contact me and I may still be able to help. I was really excited for my first driving lesson right after my 17th birthday, and with Peter I was not disappointed! My lessons were always planned around what was important for me to learn and practice, and were easily arranged with my college life. While I was learning a lot and my driving was improving I found Peter easy to get on with and lessons were always fun. Peter Yeung is a brilliant driving instructor. He has the ability to put you at ease whilst maintaining a professional manner. He strives to make sure that every lesson counts and that you progress fast and to the best of your ability. I went from not having a single lesson to passing my test in three months. I would highly recommend learning with Peter. I first started to learn to drive at 17 but after a few lessons gave up. Then at 26 I decided to give it another go. I picked Peter to learn to drive with, and I couldn't of asked for a better instructor. As I was the most nervous of drivers. Peter calmed my nerves and made lessons relaxed and gave me the believe and confidence I could do it this time round. Peter always had faith in me when I doubted myself. The time came and Peter told me to go for my test.. He had every faith in my passing first time.. (I didn't) but I should of took his word for it. I went and passed first time. I would recommend Peter to anybody an excellent service and a great instructor. Thanks so much. Peter Yeung is a brilliant driving instructor, he has a very chilled out teaching and learning style that puts you at ease straight away. It is clear to see that peter is passionate about his job. As a result of this his teaching is second to none your lesson is always planned out and is delivered to a very high standard. I would recommend Peter to any one with out a doubt. Just over 4 months ago, I was planning on learning to drive, but didn't feel confident enough, I needed an instructor that could work around my work hours, be patient with me, and above all calm my nerves when lessons got tough. Not being from the Preston area, I didn't know who to chose, however with the high amount of recommendations Peter Yeung sounded like the perfect instructor, not only did he put up with my moods, he calmed me down, making feel relaxed and showing if I did something wrong, it wasn't the end of the world, but with a bit more practice, I could do it. For me, Peter was more like a friend, not only did he teach me to drive, he made me laugh, with the techniques and unique choice of wording he used, there was never a dull lesson. But it just goes to show, I passed my test first time, from being so shy and timid, just shows that, no matter how shy or nervous you might be, Peter will always get you through it, even if you give up, HE WONT. Peter is a great driving instructor who is very good at making first time driving seem a lot less daunting with his friendly and patient personality. I would definitely recommend Peter to anyone who is wanting to learn to drive as he has a very thorough teaching style that ensures you know exactly what you are doing with all aspects of driving and he doesn't mind spending extra time on any parts that you don't quite understand to make sure you are as best prepared for your test as you can be. I would like to say a big thank you to Peter for not only getting me through my test first time, but also making me feel very comfortable driving.Peter is extremely reliable, patient and a passionate driving instructor. Peter Yeung is a fantastic driving instructor who I would recommend to anyone! I only decided to start lessons after being offered a job which I would need to commute to and I am so glad I chose Peter. I sometimes lack in self-confidence but Peter helped me gain confidence in my own ability, and his friendly manner helped to calm my nerves and concentrate on my driving. With my work and university commitments he was very flexible and able to arrange lessons to suit my day-to-day schedule. I plan to continue my Pass Plus with him in the future. I strongly recommend if you need a driving instructor, then Peter is the one for you!